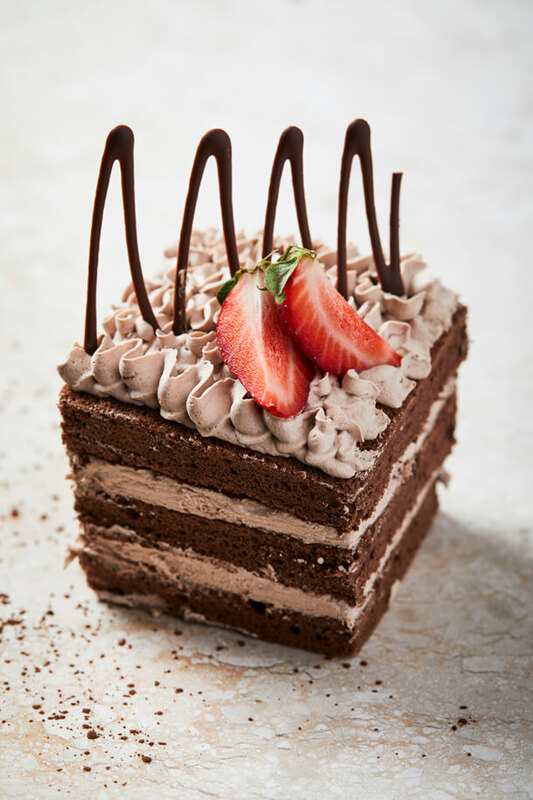 Fine dining is not high on the list of options for halaal restaurants in Cape Town and the 126 Cape Kitchen and Café is one of the few places that caters for it. 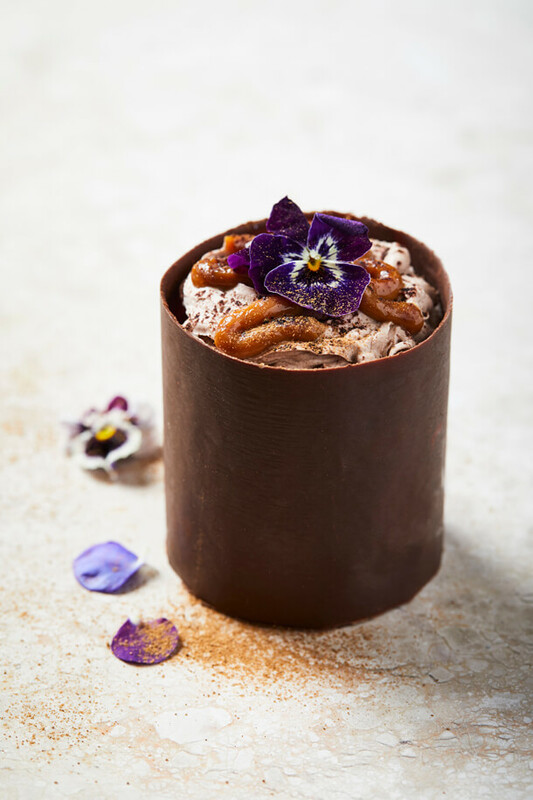 So when I learned they had launched a brand new menu after their innovative revamp last year I was chomping at the bit to find out if it lived up to its predecessor. 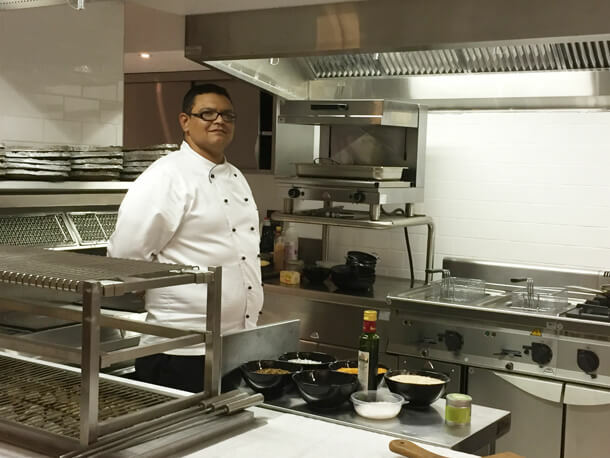 Last year the Hilton Cape Town closed down the Bistro 126 and Mezbaan restaurants to make room for the elegant 126 Cape Kitchen and Café. 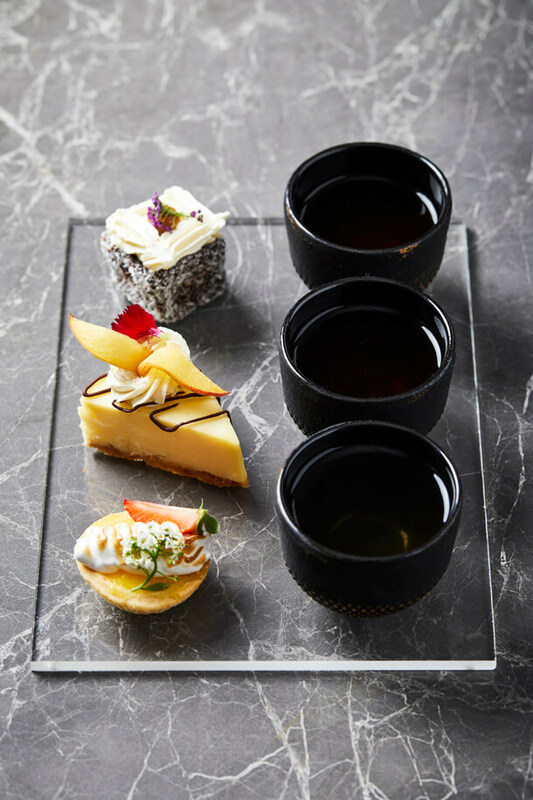 Launching with an exciting and innovative menu that paired signature local teas with dishes of a variety of culinary styles they managed to wow local foodies. The kitchen has since had a re-shuffle and a new head chef has come on board. This has also culminated in a new menu for the new season. We cashed in our date night coupon last month and hubby and I headed for a culinary treat one mid week evening. We were received and seated with efficient grace by our host in the softly lit restaurant. I love the décor. It’s plush without being gaudy or over the top. 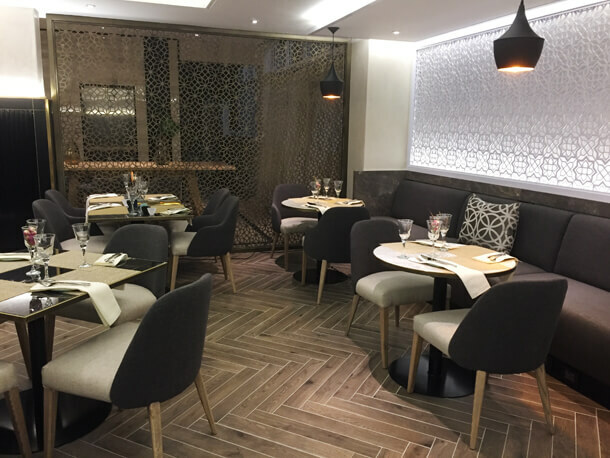 The trellis screens add a stylish design touch that is reflective of the asian and eastern influence on the menu without being too obvious. There are also grills available with a definite South African touch. Chef Lyle came out to chat to us while we perused the new menu and made a few recommendations. We chose a Carrot and Ginger Soup at R60 for me and the slow braised oxtail terrine at R115 for him. Both dishes were quite large for starters and could easily serve as light lunches. The flavor of the soup was light and mild but I chose not to finish the large portion as I would need to be rolled out of the restaurant later on. The oxtail terrine was delicious and was served with buttered brioche, black garlic, charred cauliflower, purée, parsley coulis, apple chutney and shaved tenderstem broccoli. Just reading that again makes me want to go back and order it. We took a little breather before our mains which was needed after the rich start. Served on their signature stoneware developed locally for the restaurant, mains for him was the rib eye with Cape Dukka rub, seasonal veg and a tikka sauce at R220 for R300g. The meat was perfectly done and the dukka spices an aromatic accompaniment. There was the option of having fries but who wants fries when the veg just looks so perfect. I opted for the lamb shank at R225, a dish I had never tried before. Don’t judge me… Every foodie has a few things they haven’t covered yet. I was a bit astounded at the size of it but tucked in nevertheless. The slow braised lamb shank came with minted pea puree, crisp pea shoots, buttered heirloom carrots, rooibos tea smoked mash and brown onion gravy. The combination of flavours could almost take your breath away and the lamb so tender it literally melted in my mouth. I adored the pea puree and the yellow and purple heirloom carrots. We were not going to have dessert but were offered a small tasting platter to share of a koeksister, gluten free brownie with candied orange peel and peppermint tart. All delicious but in particular the koeksister which was moist without being oily or syrupy and just the right amount of spice. ­­They are open for dinner every day from 6pm to 10.30pm and for lunch as well with Burgers and Tramezzinis added as part of their lunch menu. I would recommend 126 Cape Kitchen and Café for a relaxed and intimate dinner. Great for date nights or elegant celebrations. Leave the kids at home and treat yo’self. If there was a gap on the halaal scene in Cape Town, it was that of proper fine dining. 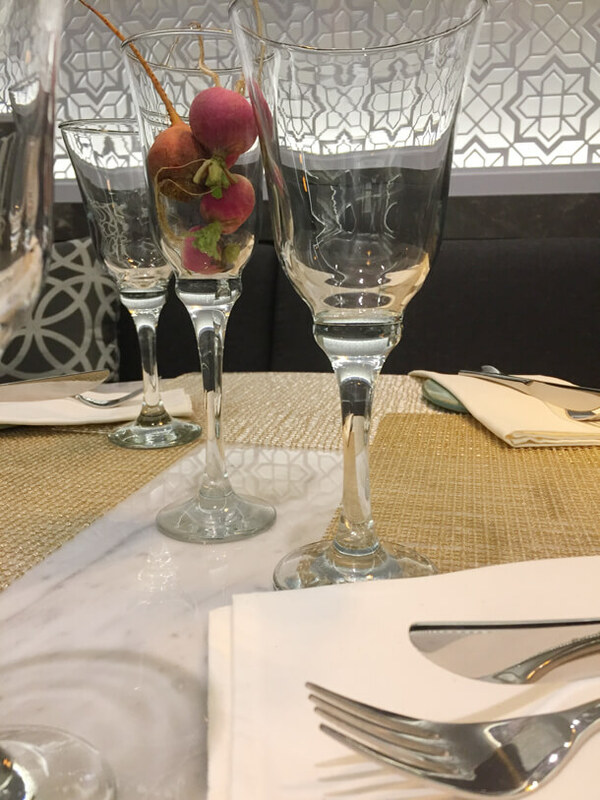 The Hilton Hotel Cape Town has managed to fill that gap and is taking fully halaal dining in Cape Town to the next level. 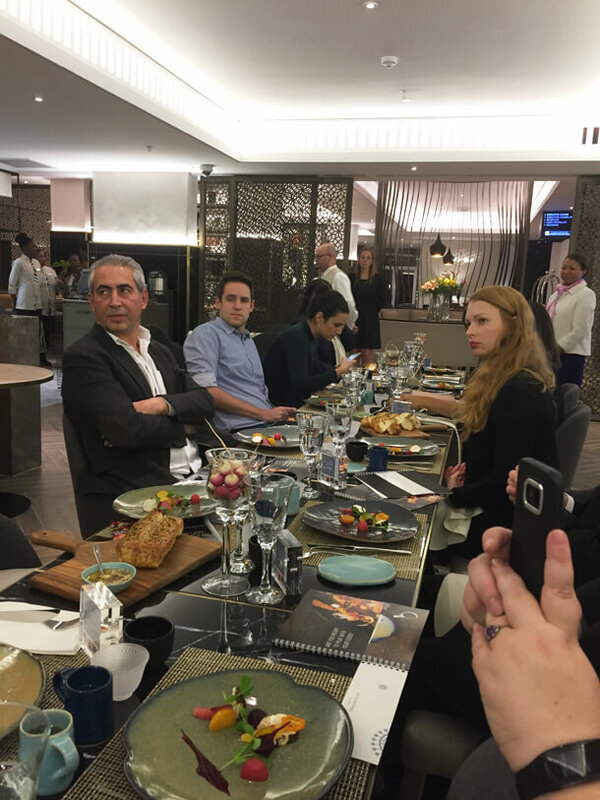 I was one of a small group of foodie bloggers and trusted partners who were invited to the pre-launch of the new 126 Cape Kitchen and Café. Walking in to the hotel lobby I was struck with the complete transformation of the space. What was before an elegant lobby to begin with has now evolved into an exquisite display of beauty and form. The juxtaposition of malaysian laser cut screens with heavy teak tables, plush dining chairs and ultra modern lighting and chandeliers makes for an impressive entrance. The previously dimly lit area has been brightened up by removing walls and opening up spaces making way for an open plan dining area that looks right into the kitchen where expert chefs toil away creating magic on plates. We were welcomed by Marc Schumacher, the General Manager of the hotel who took us through the many changes that have transformed the hotel lobby and dining area. 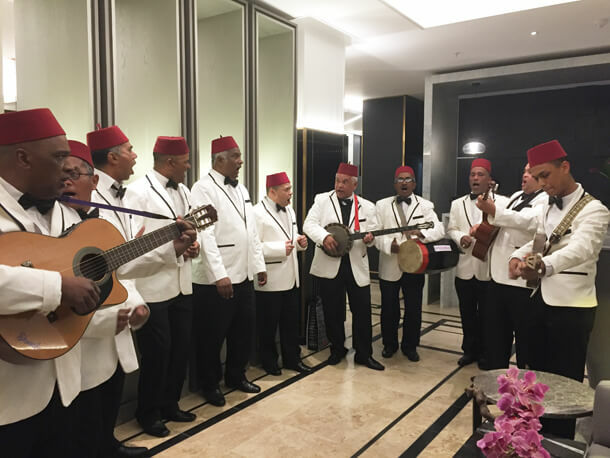 After a delicious welcome drink we were serenaded by the Malay Choir from the Bo Kaap before being showed though to the dining area. 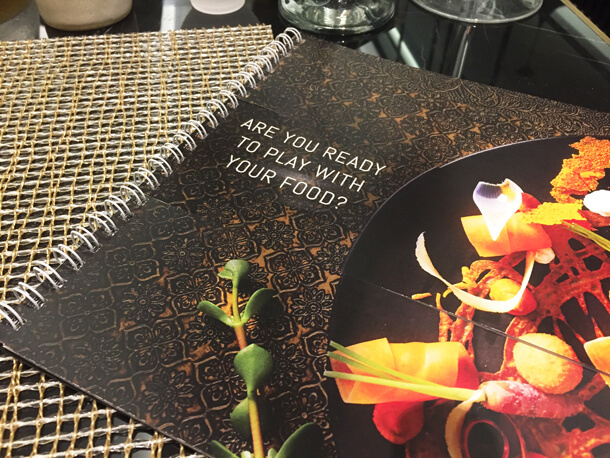 The restaurant serves a very unique menu offering flavours from South Africa, Asia and Malaysia to create a culinary experience of not only fine dining but fun dining. Fun because they have turned the idea of dining in courses a bit on it’s head. The menu is divided into six categories: Cleansing, Texture, Unique, Twist, Create Memories, and Pure. These are designed to provide a culinary tour of emotions and tastes that engage the five senses. So you would choose a dish or more out of any of the 6 sections to make up your meal and any dish could serve as a main or starter and some even double as dessert. They also offer a unique food and tea paring menu. The menus are seasonally driven by sourcing sustainable local ingredients. Executive Chef Yusuf Abrajee who creates these experiences opened the evening with a short welcome before heading off to the kitchen to take charge. 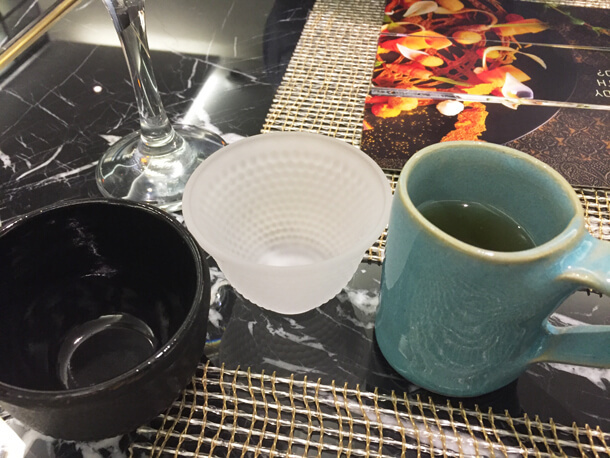 We were to experience a 5 course Signature Dish and Tea pairing. 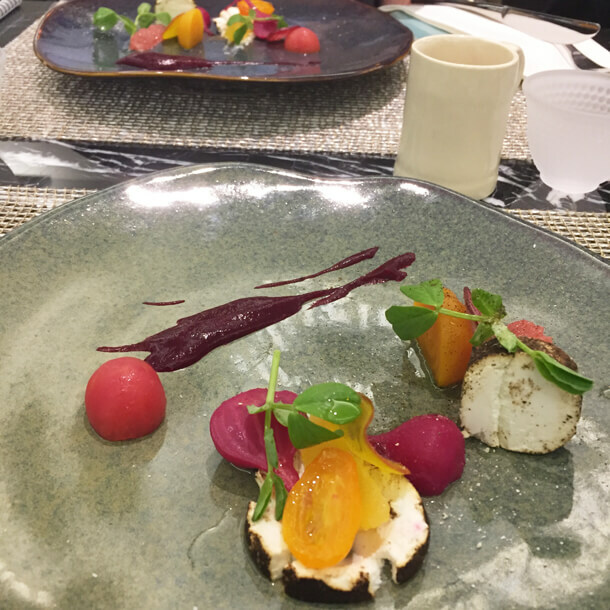 We started with the BLACKENED GOATS’ CHEESE AND BEETROOT SALAD – Goats’ cheese rolled in blackened leek, yuzu & palm sugar pickled baby beetroot, oven dried tomato, edible flowers paired with Spring Darjeeling tea. The creamy cheese and tangy beetroot were perfectly complemented with a touch of citrus on beautiful ceramic plates, each one unique. The light darjeeling tea was mild and paired well with the light dish to start with. The crockery which was being used in the restaurant we were told by Marc was uniquely created for the hotel by local artists. It is also available to be ordered from them if you wanted to buy it. Our second course from the Twist menu was KAROO LAMB BREDIE RAVIOLI – Tender mutton ravioli, pea & mint veloute, onion chips. 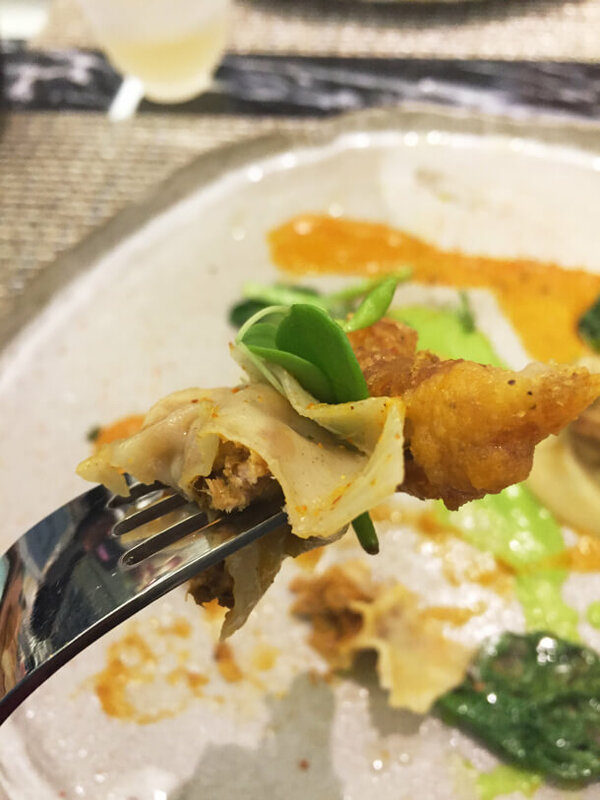 The spicy masala flavoured sauce was the twist here because you’re expecting Italian flavours, it being ravioli and get hit with eastern spice – delicious! This was paired with the Taiwan Ti Dung tea. 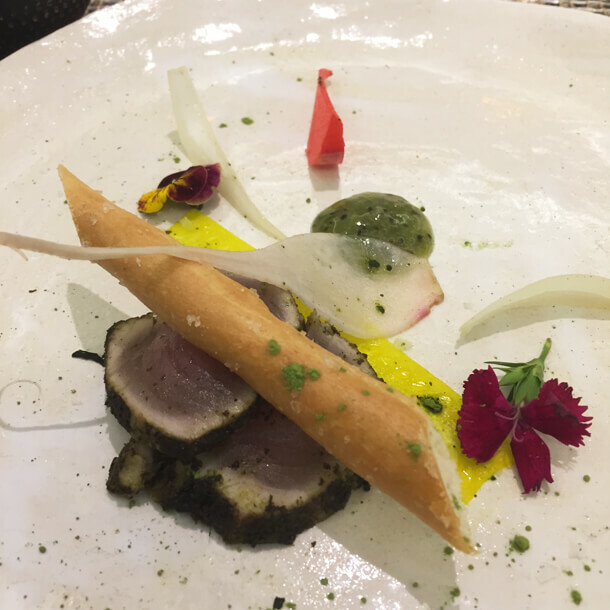 Next up was the SEARED DUKKAH CRUSTED TUNA LOIN – Saffronated daikon, preserved turnips & radishes, matcha gel, grissini from the Cleansing menu paired with a lovely and deep Matcha Horai tea served in tiny but extremely heavy cast iron cups. While I do enjoy tuna Sashimi I must admit I did not enjoy this dish too much. I took far more pleasure in the Matcha tea. 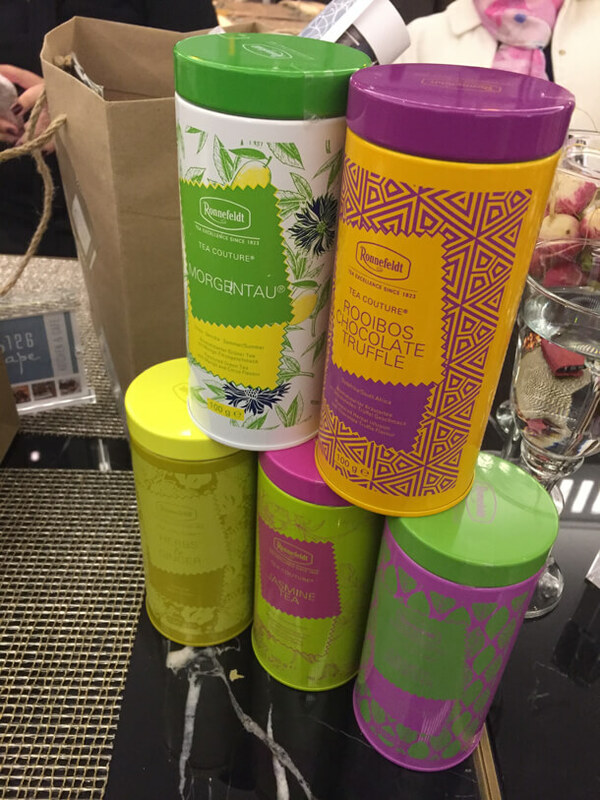 Speciality teas from Ronnefeldt are served on the menu. 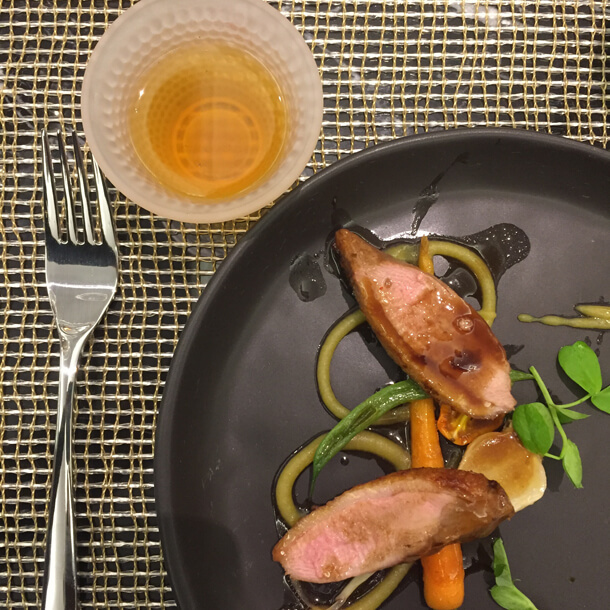 Next followed the CRISPY DUCK DUO – Crispy duck breast, duck cigar, baby vegetables, sweet potato & orange puree, smoked maldon salt, char sui jus from the Texture menu. While the duck was tasty, more so if you enjoy the extra fat on duck meat, for the star here was the tea that accompanied the dish. 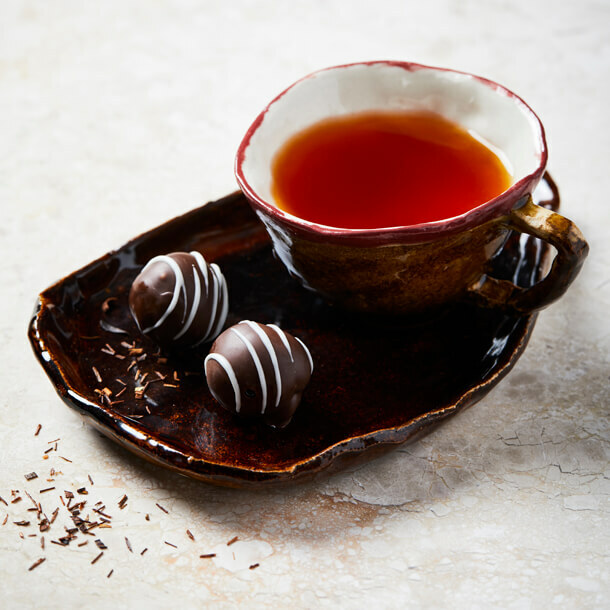 A rich and aromatic Rooibos Chocolate Truffle. 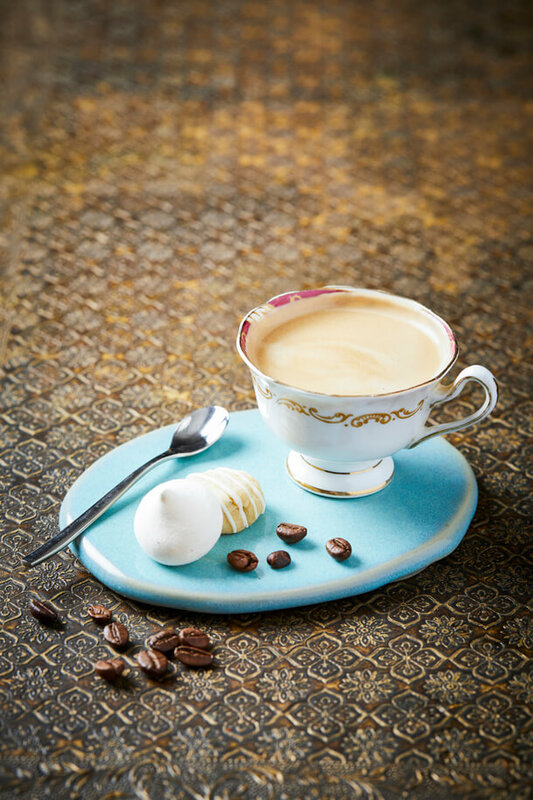 The golden brew poured into it’s tiny white opaque goblet made for a delicate picture. The white goblet empty too soon of this heavenly elixir. 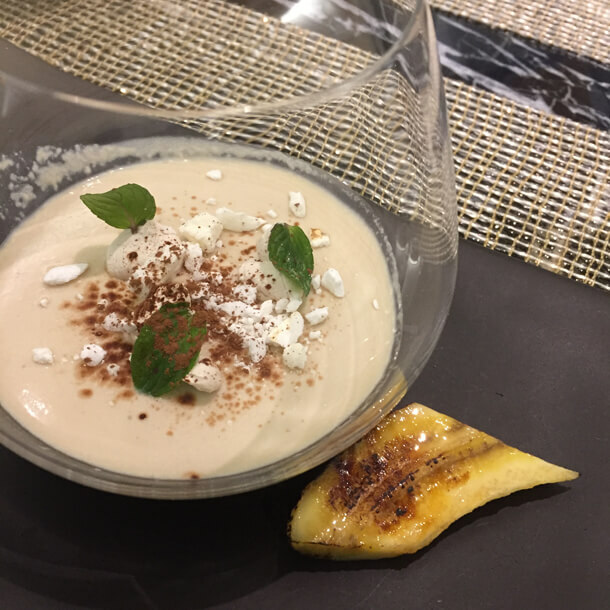 Our final course was a coffee pannacotta with roasted banana paired with a spicy masala chai – tastes of home which rounded the meal off nicely. After a 5 course meal one would expect to be rolling out of the restaurant, but each dish was light and I was not uncomfortable at the end of the night. If you’re a big eater, there are plenty of heavier choices on the menu as well. 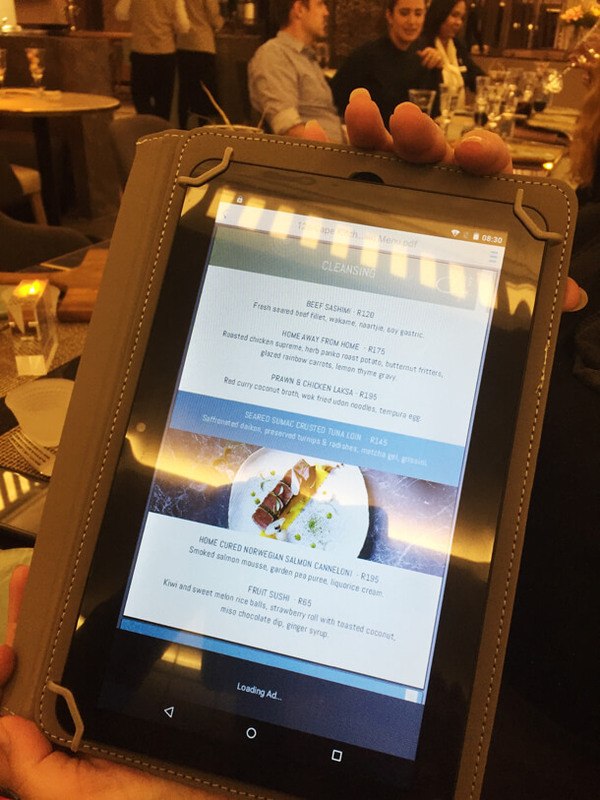 Menu’s are presented electronically on tabs, – swissh……. Prices are not cheap. The average price of our signature dishes was R150. But the level of service and quality of product and presentation duly qualifies the price. We were quite spoiled this night. A delicious experience which I know 126 Cape Kitchen and Café aims to emulate with all it’s patrons. They will be officially opening on Mother’s Day – 14 May 2017. The Mezbaan Restaurant will then be officially closed down to make way for the hotel’s executive lounge. The restaurant is open at specific hours during the day. However 126 Cape Café is an all day cafe that offers caffeine lovers, food enthusiasts and everyone in between a unique experience. 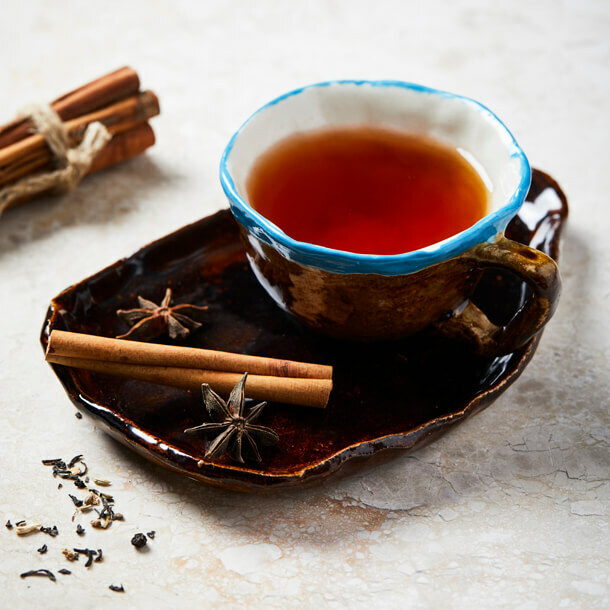 With its stylish yet comfortable atmosphere, guests feel immediately at ease and are invited to sit back and relax with a great range of exotic teas and coffees. 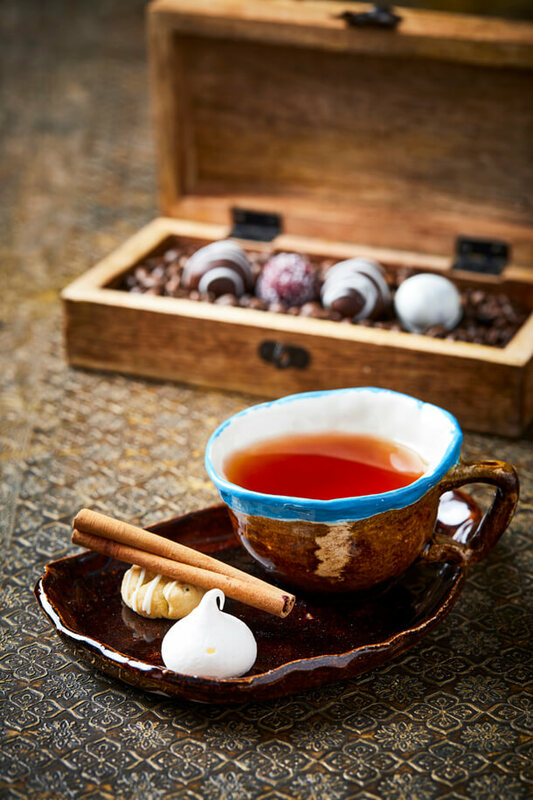 Teas from around the world will be at the heart of 126 Cape Café. The eatery offers a small yet extensive food menu comprising various tapas and light meals, daily baked pastries and cakes. My apologies for your disappointing dining experience. Our menu only changed on 8 August 2018, so you must have tasted our old menu. I am very sorry for the fact that different menus were given to you and that you had to re order mains. We have a new executive chef as well as myself that started recently and we picked up that the menu needs attention, which has been changed on 8 August as mentioned. We also went through a lot of effort to invest in training the team and improve the standard and consistency, which a process that takes time to get into full swing. Please email me on amanda.strydom@hilton.com so we can discuss this with you. The new menu is definately nothing to wow, actually very disappointing meal. I hosted visitors on Wednesday evening and after having their lunch menu earlier this year I booked again. We ordered 2 x sirloin steak, medium well, which arrived bloody and served with chips – nothing else on the plate. The lamb curry was disappointing and more tomato than curry. The last order was brinjal canneloni. This was rolled grilled brinjal with a small amount of cream cheese filling in a tomato based source – also disappointing. 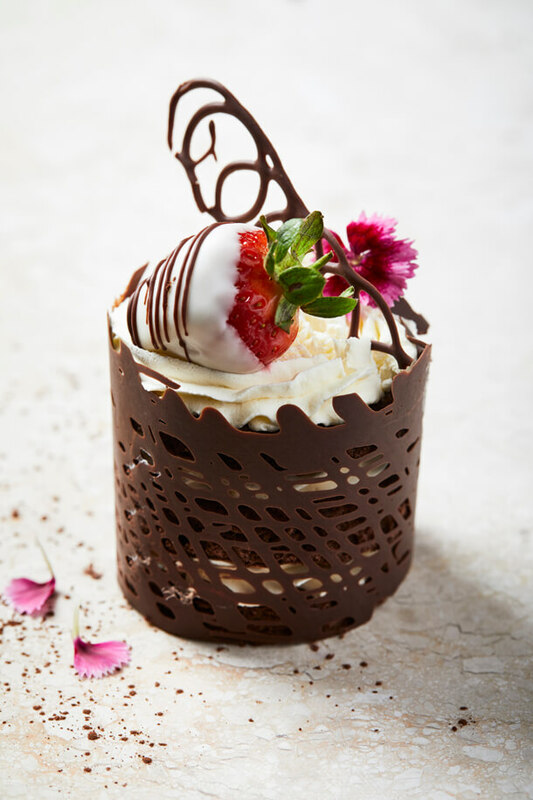 Desserts were – cheesecake- tasteless and hard; crepes chocolate – no crepe on sight and some chocolate outer, this was tasty; trip of Cape puddings all served in jars which made them difficult to eat as it was mostly biscuit crumbs – milk tart, malva pudding and peppermint pudding. The desserts were tasteless and unappetising. 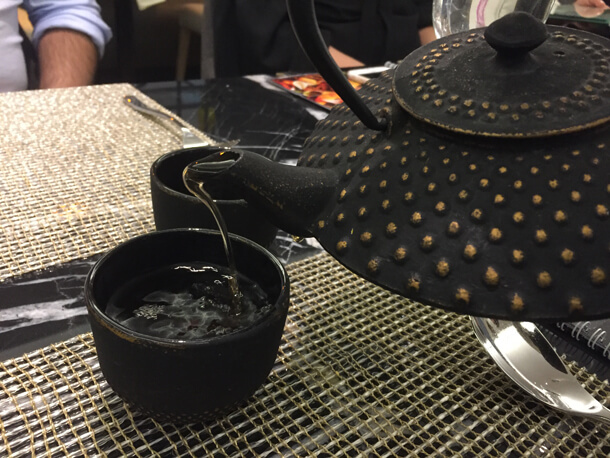 Tea was served in a huge mug – definitely unexpected for a smart restaurant. The pricing was reasonable but the food very disappointing. I’m not sure if I’ll go back again. I apologise that you were disappointed and can assure you that our executive chef has made every effort to produce a menu of great quality and bursting with flavor. I brought it to his attention as well as to the team that was on duty that night in the restaurant and kitchen. Thank you for your feedback and consideration. Please email us on amanda.strydom@hilton.com so we can discuss this with you.